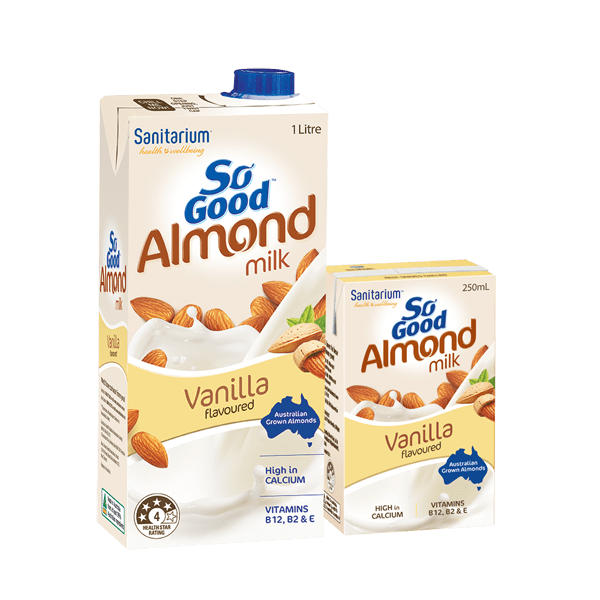 You'll love Almond Milk Vanilla Coconut Flavoured from So Good™. 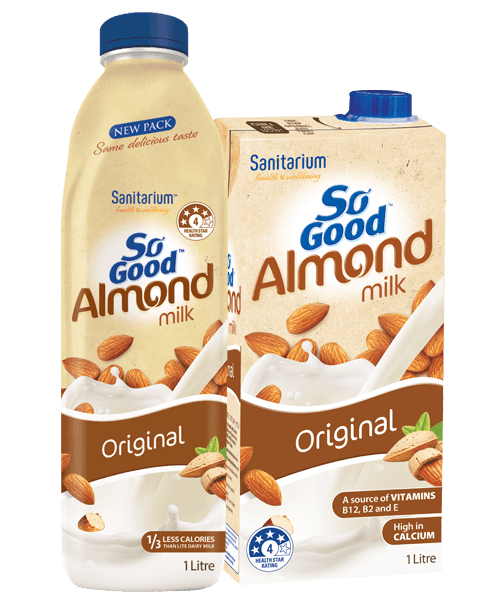 Why all the fuss about almonds? Apart from their amazing taste, they are packed with nutrients, like vitamin E. That makes them the perfect base for our delicious, dairy free milk. With half your daily calcium in every bottle and 40% less sugar* than regular flavoured dairy milk, what’s not to love. 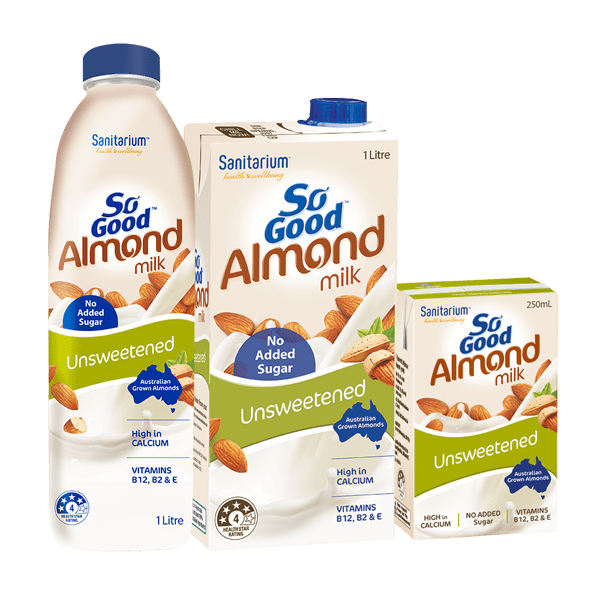 Filtered water, almonds (2.5%), sugar, coconut cream (1.5%), flavour, mineral (calcium), emulsifier (sunflower lecithin), salt, vegetable gum (gellan).